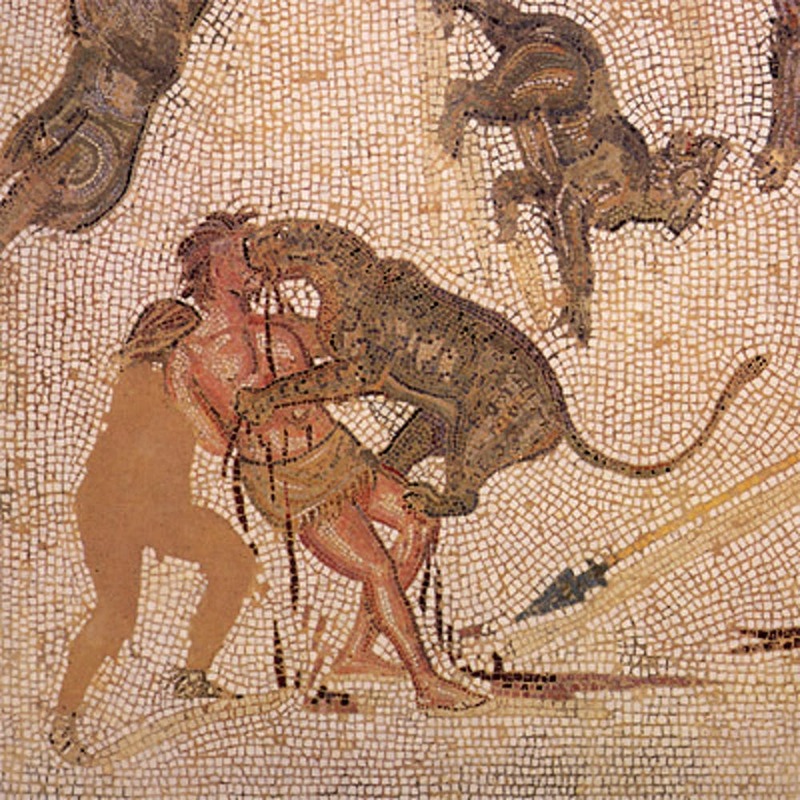 The image of cowering Christians being thrown to the lions by Roman emperors is a grisly staple of popular culture. But how accurate is it? ‘CHRISTIANS TO THE LIONS!’ rang without end through all quarters of the city. So writes Henryk Sienkiewicz in his novel Quo Vadis (1895). 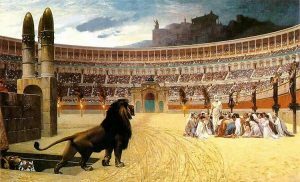 By the end of the 19th century, the image of cowering Christians huddled in the arena awaiting their deaths as lions prowled towards them was the defining symbol of Roman religious persecution and the subject of many famous paintings. The 1951 Hollywood version of Quo Vadis, starring Peter Ustinov and Deborah Kerr, enshrined this grisly scenario in popular culture. Today, the prevailing modern conception of the relationship between the Roman state and the Christians is that a number of emperors, including Nero and Marcus Aurelius, were responsible for introducing policies of persecution. We would like to tackle two important questions about the treatment of Christians in the Roman Empire. Was persecution a consistent imperial policy, and what types of punishments were inflicted on Christians? The myth of constant persecution largely stems from two works written in the early fourth century A.D., On the Deaths of the Persecutors by Lactantius, a Christian professor of Latin, and the Church History of Eusebius, bishop of Caesarea in modern-day Israel. These authors were living in the reign of Constantine, the first Christian emperor, and tasked themselves with charting the history of Christian suffering up to this glorious moment. In both their works, the torture and execution of Christians in preceding centuries is associated with the emperors under whom they occurred. But the reality is that the punishment of Christians in the first three centuries A.D. was largely haphazard and not directed by imperial policy. The emperor Nero is referred to as the first persecutor of the Christians by Lactantius. After the Great Fire of Rome in A.D. 64, when rumours swirled that the emperor himself was responsible, Nero blamed the Christians instead. According to the Roman historian Tacitus, Nero had the Christians covered in wild beast skins and torn to death by dogs. Tacitus described Christianity as a “pernicious superstition” and the Christians themselves as degraded and sordid. However, no ancient writer suggests that these Christians were persecuted for their faith alone. They were charged with committing the crime of arson. In the event that a Christian agreed to sacrifice to the Roman gods, the emperor decreed that all would be forgiven. 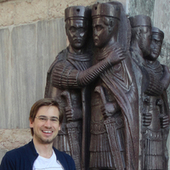 Trajan’s letter effectively expressed the Roman state policy regarding Christians – a sort of ancient “don’t ask, don’t tell” – which lasted until A.D. 250. However, this did not put an end to denunciations by provincials who felt uneasy or threatened by Christians in their communities. We can see this in the case of Polycarp of Smyrna and the martyrs of Lyons and Vienne, who were harassed by members of the local population and subsequently brought to trial. This is how emperors such as Marcus Aurelius earned the label of persecutors. However, the initiative to punish Christians did not come from the emperors at all, but from below. In the case of Polycarp, who was burned alive, the people of Smyrna are even said to have joined in enthusiastically to find wood for the fire. This was mob violence at its finest. The punishments meted out to Christians who admitted their religion and refused to sacrifice varied enormously. In the first and early second centuries A.D., Christians who were Roman citizens, including the apostle Paul, were executed by beheading, which was a quick and merciful end. Later in the second century, beheading was a privilege to which only the highest-ranking citizens were automatically entitled. The “lesser sort”, as they were known, were subject to more violent punishments. These included being crucified, burned to death, and attacked by beasts. Being condemned to the beasts was a particularly grisly end. It meant that you and your companions would be exposed in the arena to a variety of wild and ferocious animals, such as leopards, boars, and yes, lions, and required to fight for your lives. This was one part of a day-long festival of violence and slaughter, and was usually scheduled during the lunchtime interval to provide some light relief. During the birthday celebrations for the emperor’s son at Carthage, it was evidently thought amusing to match the female martyrs Perpetua and Felicitas with a maddened heifer, who tossed them in the air and crushed them. It is important to emphasise that such cruel deaths were not unique to Christians. Condemnation to the beasts was a popular punishment for criminals of any type, because it maximized their suffering and allowed good and proper Roman citizens to gain pleasure from the deaths of wrong-doers. The pattern of localised persecution changed in A.D. 250. In that year, the emperor Decius issued an edict that ordered all Romans to sacrifice to the gods and present a certificate to prove that they had done so. This edict was prompted by serious barbarian invasions. Decius believed that Romans needed to unite to show support for the gods in order to protect the empire. His sacrifice edict was not specifically directed at Christians, though it did pose a particular problem for the followers of this monotheistic religion. The sacrifices evidently did nothing to assist Decius personally, since he died fighting the Goths in a swamp a year later. Christians could then breathe a sigh of relief until A.D. 257, when the emperor Valerian again issued an edict ordering universal sacrifice throughout the empire, but this time specifically targeting Christians. 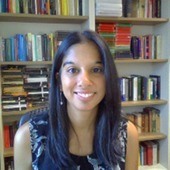 The legislation described those who did not sacrifice as un-Roman. Death was not initially the automatic punishment for Christians who refused to sacrifice. Some clergy, such as Cyprian, bishop of Carthage in North Africa, were simply sent into exile. His less fortunate colleagues in Numidia were condemned to hard labour in the mines, a punishment usually reserved for slaves. It was only in the second stage of persecution that death was prescribed for Christians such as Cyprian. In A.D. 260, Valerian was captured by the Persians in battle. This was a major disaster which later Christian authors recounted with glee as some kind of divine retribution. Valerian’s son, Gallienus, rescinded his father’s edict and proclaimed freedom of worship for all. After Valerian, the Roman state took no official action against the Christians for more than forty years. In A.D. 303, however, the emperor Diocletian and his junior co-emperor Galerius, both former soldiers who viewed Christianity as a threat to traditional Roman beliefs, initiated what has become known as the “Great Persecution”. In a series of edicts, the emperors ordered the destruction of churches, the seizure of ecclesiastical property, and the burning of Christian texts. Every opportunity was given to Christians to acknowledge the gods, and the emperors even introduced an amnesty for imprisoned clergy if they performed a sacrifice. The types of penalties inflicted on Christians depended on provincial governors who were charged with enforcing imperial will. Some were tortured and then burned to death. Others were mutilated and then sentenced to the copper mines in Egypt. However, Lactantius tells us that some governors did not spill Christian blood, indicating that persecution was not uniformly enforced. Nor did all the emperors agree with the policy. Constantius, the father of Constantine, who became emperor in Gaul, Spain and Britain in A.D. 305, refused to put any Christians to death. The eastern provincials had to endure a series of waves of persecution until A.D. 313. Freedom of worship was permitted in the east that same year in the so-called “Edict of Milan”. 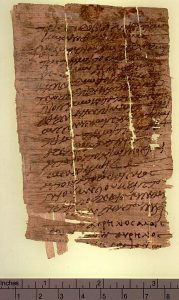 This was neither an edict, nor from Milan, but a letter from Constantine and his co-emperor Licinius to eastern governors. The Romans were horrible, bloodthirsty people in many ways. But the treatment of Christians by the Roman imperial state was more complex than we might at first think. Persecution of Christians was carried out on the local level, and usually initiated by provincial mobs. Death – particularly by lions – was not an inevitable punishment, and not restricted to Christians. 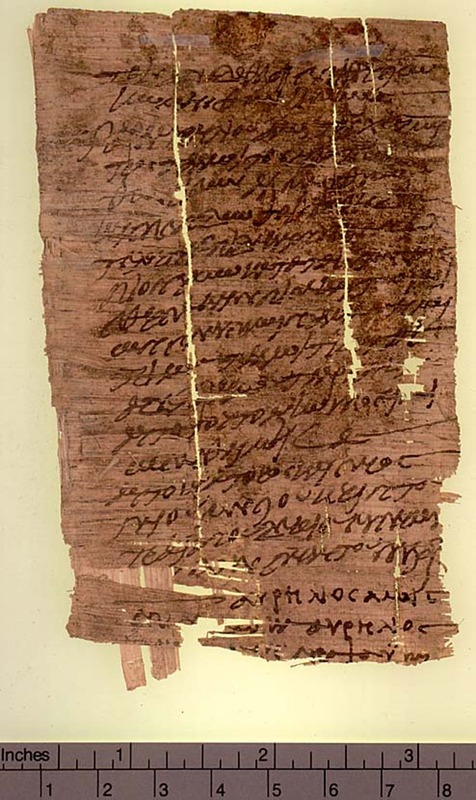 Universal edicts of persecution were only issued on specific occasions in the third and early fourth centuries A.D. They were a result of the emperors trying to reinforce traditional Roman religion in increasingly unsettled times. This entry was posted in Ancient, Christianity, History, Roman, Rome. Bookmark the permalink.